Dr. Robert Goldstein, a long-time participant in aquarium circles, holds a doctorate in microbiology. 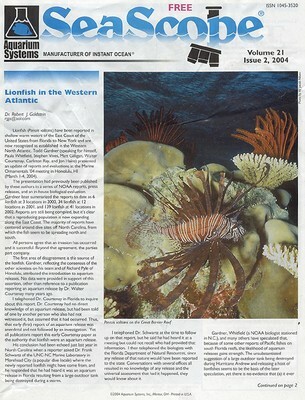 Those of you who read SeaScope, distributed by Aquarium Systems to local fish stores, should recognize his name and work from the article he wrote in Volume 21, Issue 2, 2004, on the surprising and alarming appearance of a breeding population of Lionfish ( Pterois volitans ) in the western Atlantic, as least as far north as North Carolina. 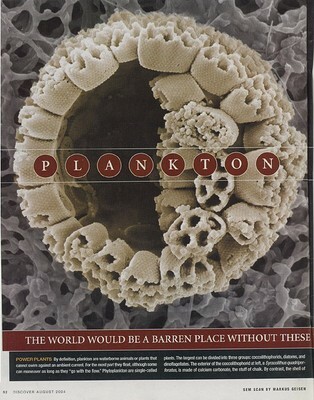 His careful analysis and extensive follow up to assertions made at the Marine Ornamentals 2004 Honolulu meeting and in NOAA publications that the fishes were released by aquarists, either intentionally or by an accidental release as a result of storm destruction of an ocean side aquarium, reads like a good detective story. His conclusions that the introductions are equally likely to have been caused by releases of masses of lionfish eggs in ballast water or intentionally by dive operators in theaffected area are certainly worth considering. The article is an example of his diligence and attention to detail. Handsomely bound 8.5″ by 11″ volume, 428 pages with more than 350 illustrations, including 120 color photographs numerous black and white photographs and line drawings, list of illustrations, bibliography and index. 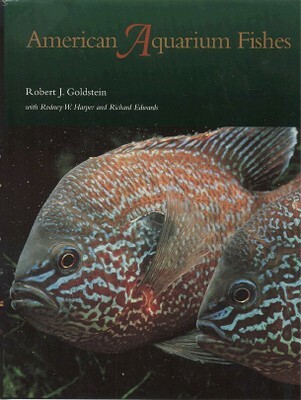 In American Aquarium Fishes he has produced a definitive volume on an interesting niche in aquarium collections. While I have seen some articles in hobbyist magazines on the topic, this is the first serious and comprehensive work on the freshwater fishes of the United States of interest to aquarists. The volume is a compendium of information on hundreds of native fishes more or less suitable for home aquariums. It provides information on finding, identifying, capturing, maintaining and breeding hundreds of species. For those of us who maintain planted freshwater tanks there is even a chapter on American aquatic plants for the aquarium. It should be noted that the volume is indeed comprehensive and although it concentrates on those fishes with some degree of appropriateness for home aquaria, it includes many species that are too large, too narrow in their needs or too drab to be of interest to any but those with highly specialized interests. The introductory chapter offers basic information. There are over 700 freshwater species that make their home in U.S waters. Of these more than one third are small and attractive enough to be considered as aquarium species. Coastal waters include many more, such as marine gobies and blennies. Chapter 2, “Distribution of Fishes,” discusses geological and meteorological variations in U.S. ecosystems, and concludes, “The greatest variety and abundance of freshwater fishes occur where the greatest diversity and abundance of river drainages exist – the eastern United States.” Chapter 3, “Collecting and Transporting Native Fishes,” starts by advising collectors to become familiar with local regulations regarding protected species and habitats. These may vary widely between states and counties. This advice is followed by an informative discussion of collection equipment preferred by professional ichthyologists and by detailed instructions on the use of dip nets, seines and other nets, along with suggestions on appropriate clothing and footwear. The chapter concludes with good general advice about shipping fishes. Chapter 4, “Collecting Regulations and Protected Species,” supports regulation and includes a very valuable listing of species protected under the federal EndangeredSpecies act of 1973 and its subsequent amendments. The nearly 100 species are listed by scientific name, common name and by protection classification – E (endangered), T (threatened), PE (proposed endangered), PT (proposed threatened) and C1 (likely to be protected in the near future). The chapter concludes with an overview of state-by-state regulations. Chapter 5, “Plants in the Aquarium,” by Richard Edwards, provides a “sample of widespread North American plants suitable for aquaria.” It excludes plants requiring cold water and/or very intense light. Each plant has an identification line drawing and descriptive text including aquarium requirements. The chapter includes 24 attractive and useful aquatic plants, most not available through usual aquarium suppliers but that collectors may find for themselves. 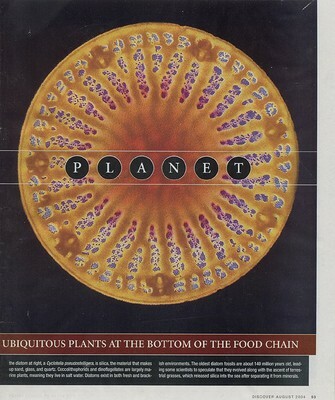 Chapter 6, “Foods and Feeding,” suggests that live foods have “the best acceptability and nutritive value.” The author advises that among dried foods only those which include Spirulina be used and that freeze dried tubificid worms and “bloodworms” should be avoided because of aquarist allergic reactions to their dust and reported fish mortality following their use. He then details techniques for developing and maintaining cultures of unicellular protozoa and algae, rotifers, nematodes, annelids, arthropods and insects. This chapter will be of great value for those who wish to culture any of these organisms. Chapter 7 “The Order Acipenseriformes,” or sturgeons and paddlefishes, begins the section of the book devoted to descriptions of fishes and helpful hints about their aquarium needs. For most species discussed, Goldstein recommends aquarium size and set-up equipment, feeding regimes and where known, breeding techniques. These chapters are illustrated with black and white identification photos. There is a 16-page color section containing photographs of 118 of the most colorful species. Chapter 8 discusses the gars and Chapter 9 the bowfins. Some of these fishes make interesting specimens for larger tanks; their juveniles are often attractive and social. Chapter 10 is on a large group of American fishes – the suckers (Catostomidae), related to the loaches of Europe and Asia, and the minnows (Cyprinidae). Most of the suckers are too large for home aquaria but a number of minnow species are small and attractive. These include members of the subgenus Notropis such as the rainbow shiner and the roseyface shiner. The genus Pteronotropis, “a group of spectacular gulf coast minnows,” includes the attractive bluenose shiner. Other genera in this group include the dace and chubs, both of which include attractive species. Chapter 11 covers the catfishes, with more than 2.200 species worldwide and 1,300 U.S. species. Many of these are drab and too large for home aquaria but there are small, attractive ones in this group as well, such as the checkered madtom and the elegant madtom. Many of these smaller species are protected and some are recently extinct. The group also contains 4 blind cave-dwelling species, all protected to various degrees. Chapter 12 is on the Esociformes, the pikes and pickerels and the mudminnows. Only the smaller pickerels can be considered aquarium fish. In some mudminnow species (called that because of their habit of diving into bottom mud when alarmed) the male, especially in breeding colors, is very attractive. Chapter 13 is on the Percopsiformes, a group of fishes including the cavefishes, characterized by adaptations for low light environments. Many are protected. The native killifishes are covered in chapter 14. Members of the American Killifish Association trade many of these colorful fishes through the mails. The mangrove rivulus, Rivulus marmoratus, is a “synchronous, internally self-fertilizing hermaphrodite, a mode of reproduction unique among vertebrates.” Each individual contains an “ovotestis” which produces both eggs and sperm and most eggs produced are self-fertilized. The Florida flagfish, Jordanella floridae, has occasionally been available in retail stores and I found it to be a colorful and hardy community fish. The Poeciliidae, familiar ovoviviparous “livebearers” are the subject of Chapter 15. The group includes the sailfin mollies and mosquitofishes. It also includes the siversides, a marine group related to the dwarf rainbowfishes of Australia. Chapter 16 describes the Gasterosteiformes, including the sticklebacks, a group much studied by ethologists and behaviorists because of their breeding habits, territoriality and predator-prey relationships. The group also contains the pretty pygmy sunfishes, a number of which make interesting and attractive aquarium subjects. Chapter 17 is on the scorpionfishes, primarily a marine group containing such species as the sea robins, with a single freshwater group, the sculpins. Chapter 18 is on the Perciformes, the largest and most modern of the bony fishes. Among these are aquarium candidates from the sunfishes, perches, cichlids, blennies and gobies. Many beautiful American sunfish, such as the pumpkinseed ( Lepomis gibosus ) are prized, hardy, aquarium subjects in Europe and are periodically available in the U.S. aquarium trade. The darters are also in this order, a numerous group with a number of highly colored species. Among cichlids, only the Texas cichlid, Cichlasoma cyanoguttatum, is native. The chapter, and book, concludes with the coastal fishes, the blennies and gobies. Most require brackish aquariums. In conclusion, this is a unique work. Although the colored plates are collected together in a 16 page section rather than accompanying the text they refer to, it is easy to see from looking at them that there are many beautiful U.S. fishes that can make attractive specimens. The book contains much technical husbandry and breeding information based on the authors wide experience and readings. It has clearly been written with and eye toward a larger and more professional audience than just aquarium hobbyists. For those who are interested in native fishes with aquarium potential it presents all that is currently known on the subject and is an invaluable reference.